Drivers are often unaware of the impact that medication might have on their ability to drive. It is important that we create more awareness on the side effects of medication and provide drivers with the necessary advice to protect them and other road users. 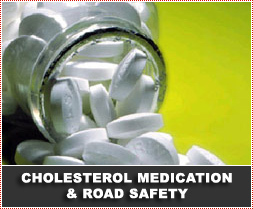 Pharmaconnect recently published an article on the possible side effects of cholesterol medication and the Arrive Alive website would like to share this information in the interest of driver fitness. If you experience nonspecific muscle pain, joint pain and weakness and you are taking statin or fibrates as cholesterol medication, it may not only affect your driving, but it is quite dangerous to your health.  Often overlooked, the side-effects of statin drugs, namely myositis (muscle inflammation) and myopathy (a neuromuscular disease in which the muscle fibres do not function for any one of many reasons, resulting in muscular weakness), might be causing nonspecific muscle pain, tenderness and weakness. Manufacturers of this medication advise patients in their patient information leaflets (package inserts), that a doctor should be consulted immediately if you experience any of these symptoms. Statins lower cholesterol by inhibiting the liver enzyme HMG CoA reductase. Without this enzyme, the liver cannot make its own cholesterol, so the liver removes cholesterol from the blood for use in producing hormones and other cell functions. Statin drugs are known to cause muscle pains and inflammation around the muscle cells (myositis). If a patient complains about muscle or joint pain and weakness, the pharmacist has an important role to play since they are either aware of the medication the patient is taking or in the position to determine the patient’s medical history. According to the literature, muscle aching caused by statins can generally reverse itself within weeks of discontinuing the medication. In some cases, a patient might even experience immediate relief when discontinuing the medication. Muscle pains and mild muscle inflammation accompanied by minor weakness as well as mildly elevated muscle enzyme (CPK) also generally reverses but may take several months to resolve. Statins can also cause severe muscle inflammation and damage, causing painful and severely weakened muscles with markedly elevated muscle enzyme (CPK). When muscles are severely damaged, the muscle cells release proteins into the blood that can collect in the kidneys and cause damage which may lead to kidney failure. It is evident that the outcome is better when the condition is detected early. It is important to also be aware of claims that are made for the safe use of statins. Reassurance and advice are offered to patients on how to use statins safely, to get the biggest benefit with the lowest risk of side effects. Certain manufacturers have introduced a lower strength of their product for people who don’t need to be overly aggressive about lowering their LDL. The potential for serious side effects versus the gain you can get from the medication has been weighed and reported in the media: Statins cut the risk of heart attack, angina, stroke and death from cardiovascular disease by 30%. Statins cause muscle pain in under 5% of people who take them. According to the authors who make these claims, the pains often stop by themselves even with continued statin use. The chance of rhabdomyolysis, a potentially deadly breakdown of muscle tissue, is less than one per million statin prescriptions.